Henry Wolsey Bayfield, naval officer, hydrographic surveyor (b at Hull, Eng 21 Jan 1795; d at Charlottetown 10 Feb 1885). At age 11, Bayfield joined the Royal Navy. In 1816 he was engaged by Captain W.F. Owen to assist in surveying Lake Ontario. Jean-Baptiste-Louis Franquelin, cartographer, royal hydrographer, teacher of navigation (b at Saint-Michel de Villebernin, France 1651; d in France after 1712). The first official cartographer in Canada, Franquelin drew some 50 richly illustrated manuscript maps of New France between 1674 and 1708. 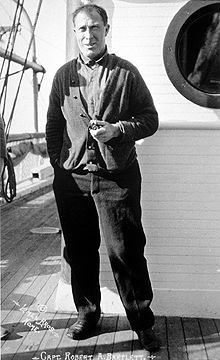 ​Robert Abram Bartlett, Arctic mariner, explorer, ice captain, scientist (born 15 August 1875 in Brigus, NL; died 28 April 1946 in New York City, NY).